Although the calendar might not officially agree, it certainly does feel like summer! As the temperature begins to rise, folks are doing whatever they can to beat the heat. The old school method is to get someone with a big wrench to open up the fire plugs on the street. Beyond that a dip in a pool or spending the day at the local air conditioned Cineplex will do the trick. The last thing anyone is in the mood for when it gets hot is hard work but that doesn’t mean the work can stop. Take for instance cleaning out the clutter of your home. If you’re looking to make room for some summer visitors or are just sick and tired of looking at all that junk then you might want to spend a few hours deep in the trenches of a summer clean-up project. Once that is done, you can truly enjoy the summer but first things first: What are you going to do with all that junk? One possible solution would be to rent a dumpster and use that to get rid of your stuff. Sounds like a good idea, right? After all, most of what you would be throwing out would be too bulky to fit in your regular garbage can otherwise you would have tossed it out long ago. However, there are some hitches in this plan that you really need to think through. Right out of the gate, when you put an empty dumpster anywhere near your house you’re practically inviting all of your neighbors to partake as in dump their own junk. This is what happens when there is an empty dumpster on the block. All of sudden your neighbors will decide to take advantage and clean out their own clutter. The really sad thing is that you’re paying for the dumpster and these folks don’t even ask if they can dump anything in. It’s not a stretch to think that by the time you get around to throwing out your own junk you’re dumpster will already be filled up. When you rent a dumpster you’ll be at the mercy of that rental company’s terms. This could mean being forced to keep that dumpster for several days. 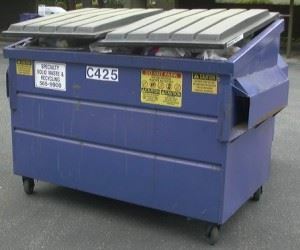 Will you need a special permit if the dumpster is on the street? And let’s not forget its summer: Whatever goes into that dumpster is going to be baking in the summer sun. Not a pretty picture. A better alternative is to hire a professional team of junk haulers like Junk King Capital District to do a single pick-up of all your clutter. This is not something the neighbors can muscle in on! With these junk hauling crews, you’ll be able to schedule an appointment that works on your schedule for the pickup. As an added bonus, the crew will do all the heavy lifting! You can’t beat that! This entry was posted in Albany Appliance Disposal, Albany Junk Hauling, Albany Junk Removal, Dumpster Rentals Albany NY, Junk King Capital District and tagged Albany Dumpster Rental, Capital District Dumpster Rental, Troy Dumpster Rentals on May 30, 2012 by Todd Porter. Last updated August 1, 2017 . Hoarding is a very serious psychological disorder that can tear a family apart. A person who suffers from this type of obsessive compulsive behavior can not only put themselves at risk but also all of their neighbors. Then there are the instances where a hoarder takes in animals to satisfy their hoarding tendencies and puts those helpless creatures at risk. At the Halfmoon Town Court an entire family was recently arraigned on charges of animal cruelty for hoarding cats. In one of the cases 134 cats were found living in a trailer in deplorable conditions. Obviously this is a situation when someone’s hoarding tendencies has gotten out of control. Once the law has had their say with these folks they will still need to go through intensive therapy to break the hold that hoarding has on them. Hearing about a story like this certainly puts your own hoarding tendencies into perspective. Hopefully, you haven’t reached the tipping point between holding onto junk because you have no way to get rid versus never letting go of any trash. If it’s just a matter of not having the means then you can find a great ally in Junk King Capital District. Junk King is a Capital District business that specializes in all types of junk removal. A Junk King crew won’t be the least bit shocked by any amount of trash you might want removed from your property. In fact, they aren’t happy unless they can fill up their truck for each appointment! It’s as simple as setting up an appointment to get the job done. When Junk King makes an appointment they keep it. It’s not like you’re going to be waiting around all day as you would with the cable company or phone service. On the day of the appointment, the Junk King crew will arrive with that empty truck and all you need to do is tell them what you want removed. You have the option of either supervising this job or just piling up your junk up in your driveway with instructions for the crew to take it all away. 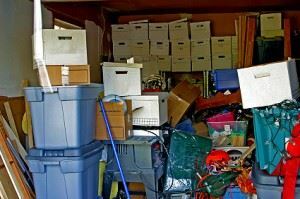 An appointment with Junk King becomes the perfect chance for you to get rid of all that stuff that has been taking up valuable space in your home and garage. If you haven’t used something in over a year then there’s really no reason for you to keep it. When the job is done you can also rest assure that Junk King will do everything within its power to make sure your garbage is recycled. Junk King prides itself on being able to divert the vast majority of all the junk they collect away from landfills and towards the proper recycling centers. You’ll never be accused of becoming a hoarder as long as you’ve got Junk King standing by. This entry was posted in Albany Junk Hauling, Albany Junk Recycling, Albany Junk Removal, Hoarding Help, Junk King Capital District and tagged albany hoarding, Albany Junk Removal, get rid of junk albany ny, Hoarding Help, hoarding help albany on May 17, 2012 by Todd Porter. Last updated August 1, 2017 .